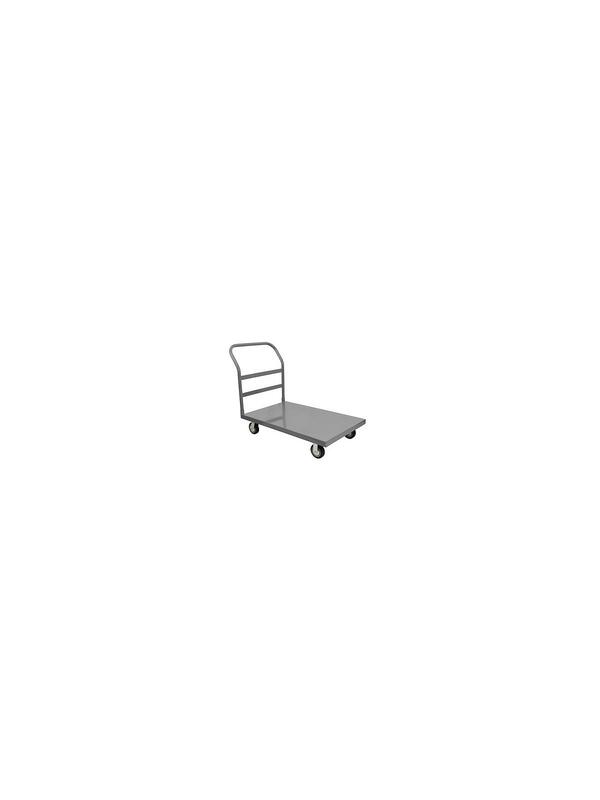 Platform Carts | Carolina Packaging & Supply, Inc. Heavy duty 14 gauge steel deck. Rolls quietly and will not mark the floor. 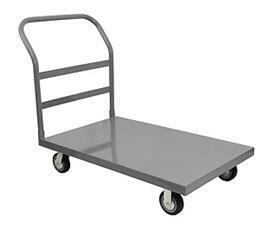 Cart features two ball bearing rigid and two ball bearing swivel wheels. Carts with 5" Urethane tread casters have a 1,200 lb. 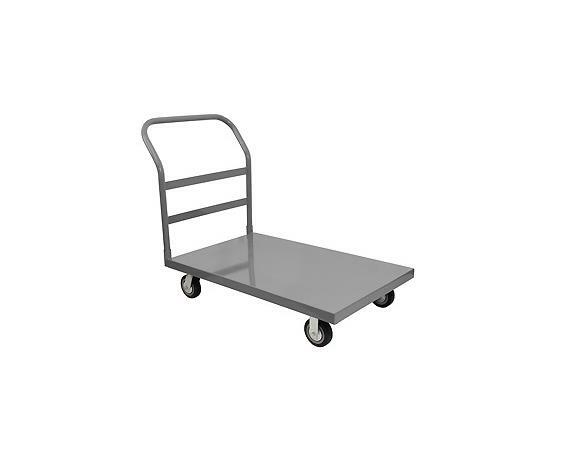 capacity and carts with 6" Phenolic casters have a 3,000 lb. capacity. Excellent for use on all floors including concrete. Removable handle for easy storage. 5-year warranty. Durable powder coated gray finish. Call for other available colors. FOB Shipping Point.